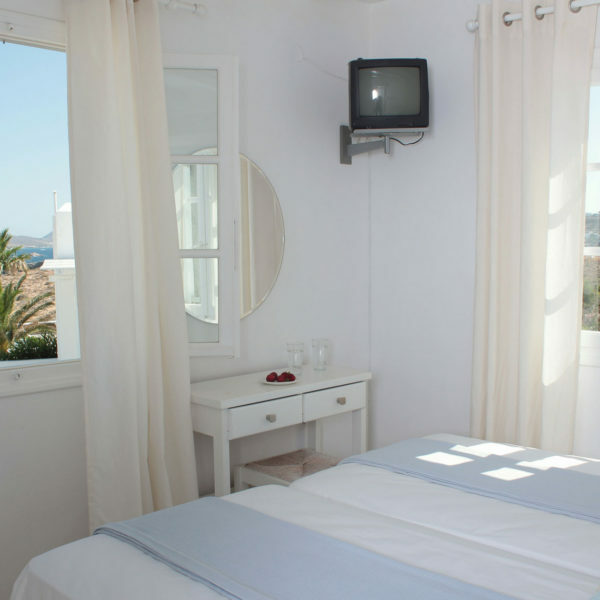 Grand Superior Suites (First Floor | Partial Sea View), on the 1st floor, offer sea and garden view. 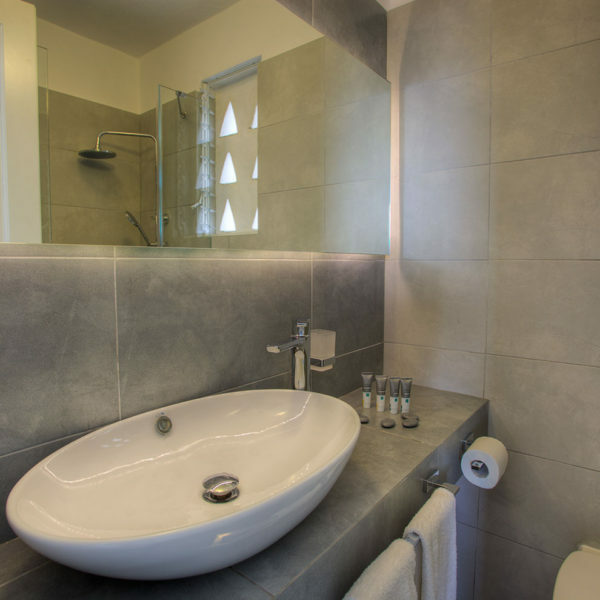 They have 1 bedroom with a double bed, 1 bedroom with 2 twin beds, a living room with 2 built sofas, table & chairs, 1 bathroom with bathtub & 1 shower/WC, fully equipped kitchenette & refrigerator. 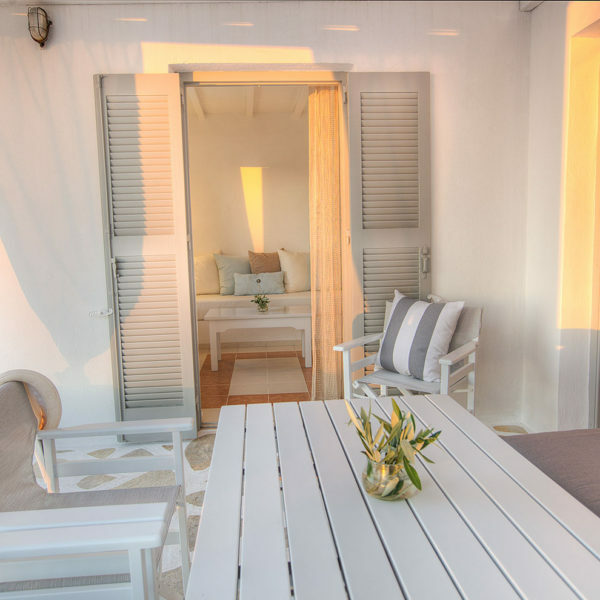 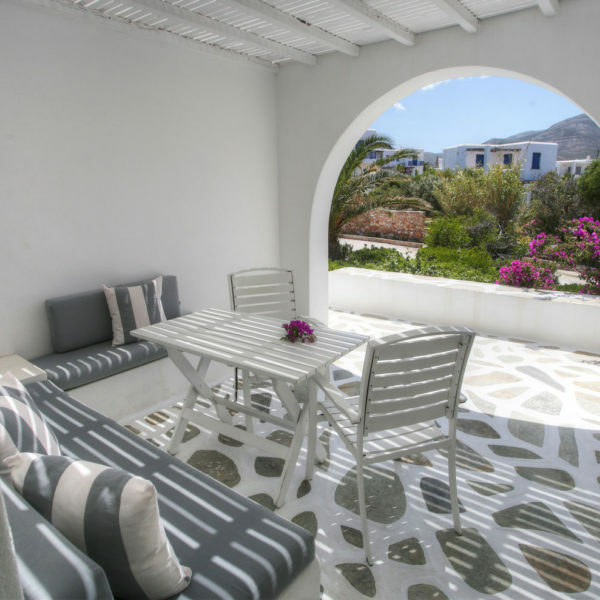 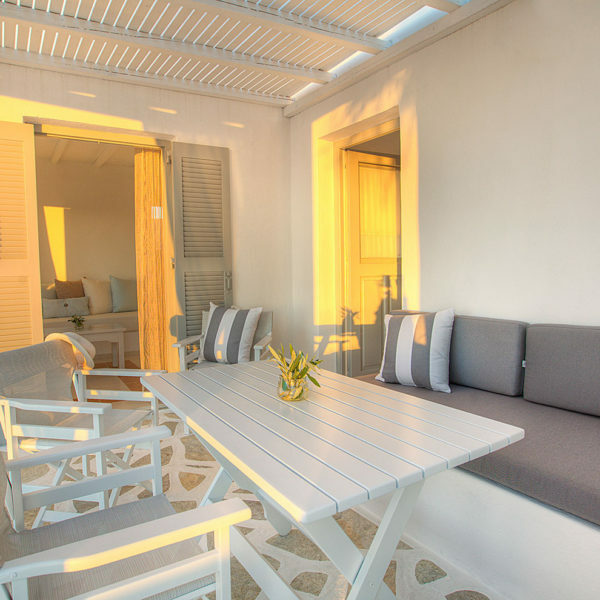 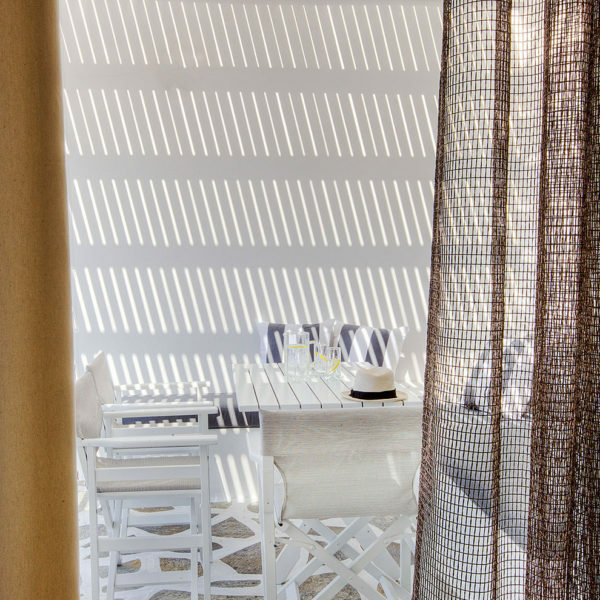 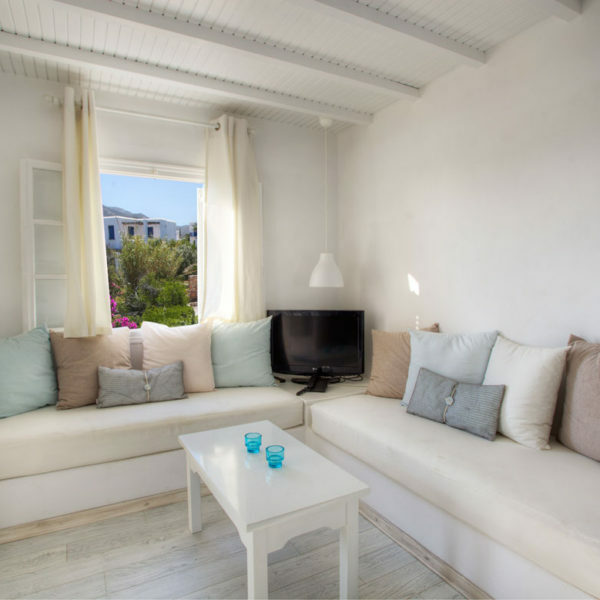 The suites also offer 2 large verandas, one in front and one at the back, with pergola and veranda furniture.